Focusing on client interests, Phil offers creative solutions to resolve controversies and planning issues involving estates, trusts and related property interests. With more than 35 years’ experience, Phil has helped clients both on the planning side and the dispute resolution side of matters concerning trusts, estates and related property interests. He has represented fiduciaries in managing difficult issues with beneficiaries, claimants and tax authorities. He also has represented beneficiaries in conflict with one another or with fiduciaries and surviving spouses in matters concerning marital property rights. In addition, Phil is a trained mediator. 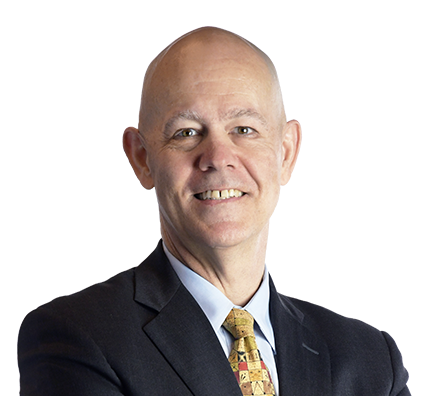 On the planning side, Phil represents business owners, executives and professionals with respect to their estate planning needs. He advises fiduciaries and beneficiaries concerning the administration of trusts and estates to facilitate the efficient transfer of wealth. Phil works with nonprofit organizations on various aspects of their operations as tax-exempt entities, as well as needs unrelated to their tax-exempt status. In addition to his work for clients, Phil has served as a member of the adjunct faculty of Marquette University Law School and as a co-author of the State Bar of Wisconsin three-volume treatise Marital Property Law in Wisconsin. Phil was a member of the State Bar of Wisconsin/Wisconsin Bankers Association committee that proposed legislation resulting in Wisconsin’s enactment of new trust laws based on the Uniform Trust Code. Phil began his legal career as a law clerk for the Hon. Robert W. Warren, U.S. District Court, Eastern District of Wisconsin. Before joining Husch Blackwell, Phil practiced for more than 30 years with Whyte Hirschboeck Dudek S.C. Represented individual and corporate fiduciaries in proceedings involving claims for breach of fiduciary duty. Represented estate and its beneficiaries in litigation involving marital property claims and claims for tortious interference with inheritance to recover assets from decedent's surviving spouse. Defended proponents of will in contest with previously named beneficiary of testamentary charitable remainder trust involving issues of testamentary capacity, undue influence and standing. Counseled university on its beneficial interest in estate against personal representatives' proposed undervalued disposition of estate assets. Represented personal representative of estate in defending claims attacking validity of marital property agreement involving allegations of unjust enrichment, fraudulent inducement, unconscionability and insufficient financial disclosure, as well as interpretation of Wisconsin's marital property law. Advised beneficiary of estate in litigation with siblings to recover property for estate and to have interests in family, limited partnership redeemed. Represented surviving spouse with respect to her deceased husband's estate in classification proceedings commenced by estate that sought to limit her nonmarital property rights and interests in retirement plan assets. Represented corporate trustee, including oral argument, before Wisconsin Supreme Court in case of first impression concerning issues of federal and Wisconsin estate tax apportionment (Firstar Trust Co. v. First Nat. Bank of Kenosha, 197 Wis.2d 484, 541 N.W.2d 467 (1995)). Represented financial institution before Supreme Court of South Carolina in case of first impression concerning personal jurisdiction (Southern Plastics Co. v. Southern Commerce Bank, 310 S.C. 256, 423 S.E.2d 128 (1992)). Represented settlors of several irrevocable trusts in contested proceedings to modify trusts and obtained favorable private letter rulings from Internal Revenue Service in connection therewith. Advised remainder beneficiaries of marital trust in contested proceeding involving proposed conversion of such trust to unitrust under Wisconsin's principal and income act. Counseled university on breach of trust claims involving university's interest as residuary beneficiary of decedent's revocable trust. Represented beneficiaries in connection with replacement of trustee and change of principal place of trust administration. Advised individual and corporate trustees on numerous occasions to obtain nonjudicial resolution of potential claims. Structured estate plans to meet specific business, family and financial needs and circumstances of various clients. Prepared wills and trust agreements, including revocable and irrevocable trusts, life insurance trusts, grantor retained annuity trusts, charitable remainder trusts, charitable lead trusts and private foundations (both trusts and corporations). Represented clients in planning estates involving multijurisdictional and multinational issues. Negotiated and drafted various types of marital property agreements for clients. Advised corporate trustee of testamentary trust in proceedings that included reformation of split-interest charitable trust, claims by alleged heir and compromise of certain claims in bankruptcy. Represented national charitable organization in connection with construction and reformation of substantial devise involving land use in southeastern Wisconsin. Counseled tax-exempt organizations in distress concerning protection of donor-restricted gifts. Advised boards of directors of nonprofit organizations on their fiduciary responsibilities. Represented one of Wisconsin's largest private foundations in numerous grant agreements with public charitable organizations and/or governmental agencies. Interacted on numerous occasions with the Wisconsin Attorney General's office in connection with matters involving charitable organizations. Mediated controversies among family members.